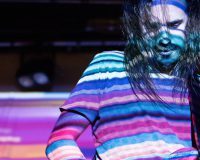 With each of the four Ninjas busying themselves in a multitude of other successful acts and projects in recent years, Injured Ninja has not exactly been the most active. 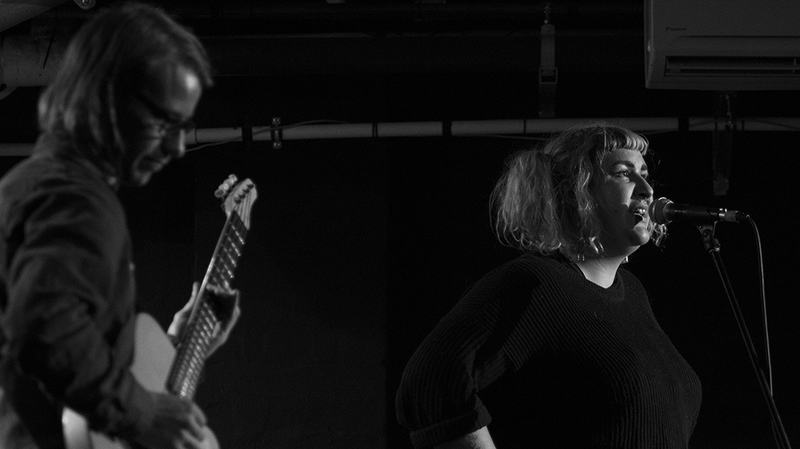 In fact, were it not for the hard work of ALT, a new promotion team that aims to foster ‘left-of-centre’ live acts in Perth, we may have had to wait far longer to see these Ninjas back in their live habitat at The Sewing Room. 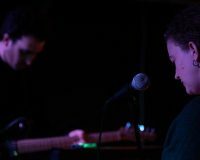 First up were Supernaked, a relatively new duo, who offered a set of off-kilter, shoegazey tunes. 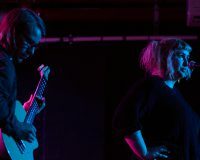 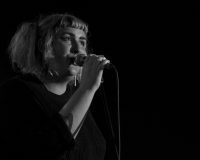 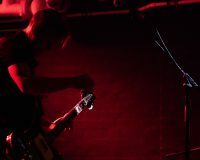 Despite no wall of guitars and amps, the duo allowed their dreamy sounds to fill the venue, atop of which the lead singer’s vocals sat and danced. 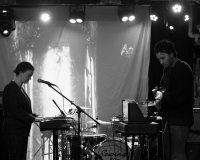 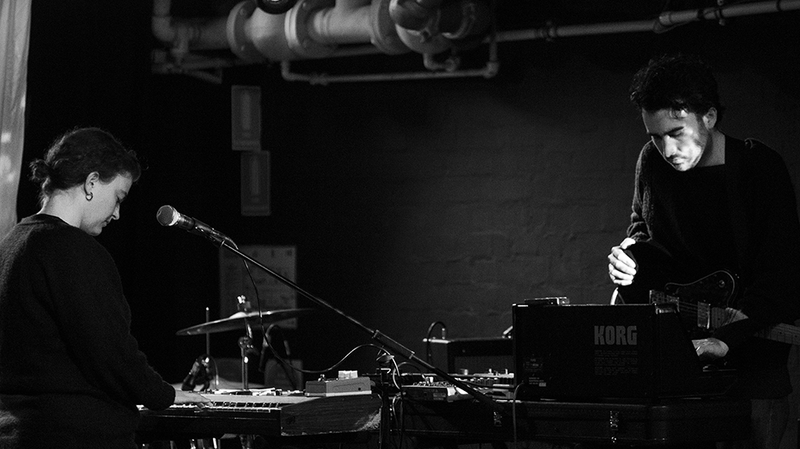 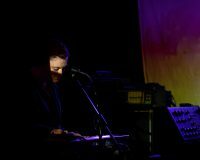 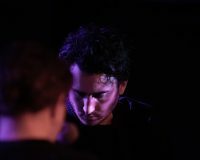 Erasers were next, and showed off their impressive drone and ambient-inspired electronic soundscapes. 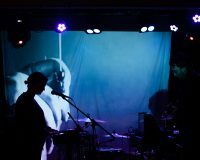 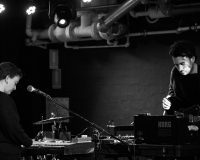 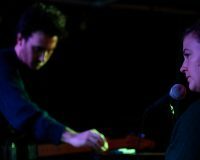 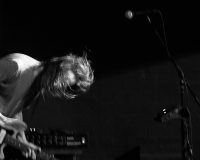 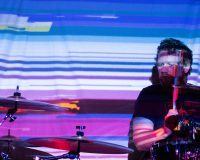 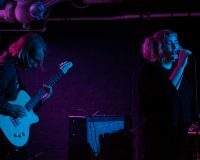 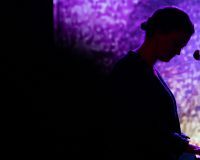 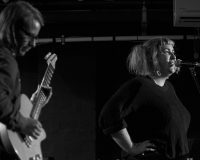 Where a disconnect can sometimes exist with ambient music played live, the live female vocals and gentle but persistent percussion remained compelling throughout, with the result sounding like a slowed-down, minimalist Stereolab. 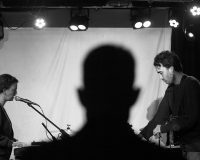 With the fact that two people can fill a room with sound well established, it was time to see what just one person could do. Sonnemasse is the project of Perth musical veteran Leon Ewing (Beaverloop), and his ability to create an entire soundscape from just his bass and vocals was impressive. 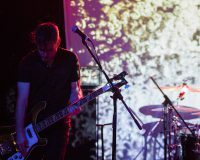 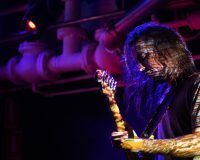 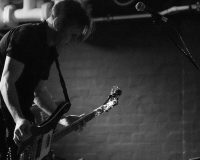 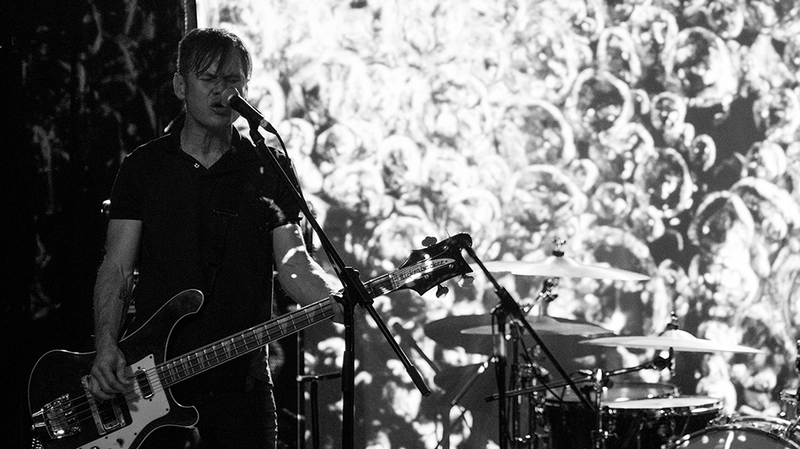 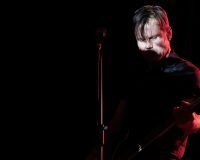 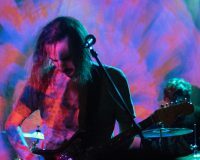 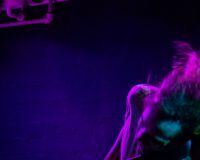 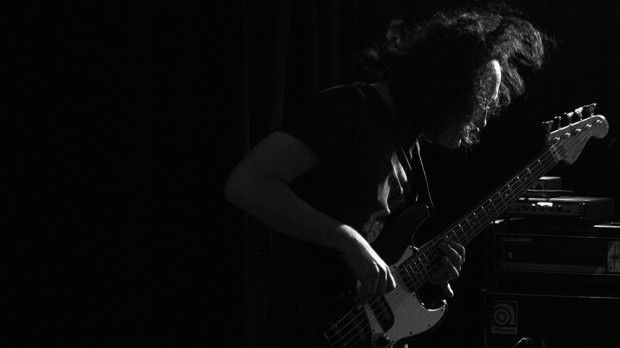 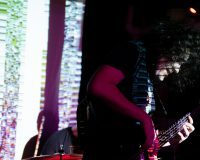 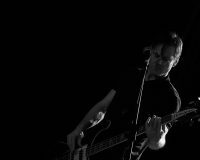 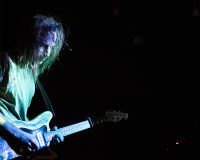 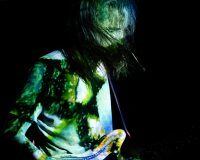 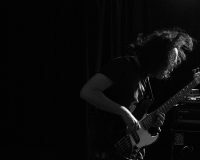 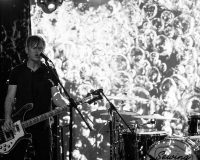 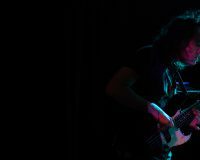 Despite the obvious loudness of his doom metal and drone styled bass configuration, Ewing also showed off a certain pop sensibility through his melodic vocal lines and lyrical phrasings. 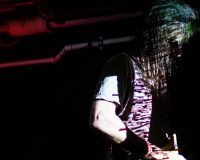 Not afraid to pepper his set with waves of sound, which he would then dispel and replace with complete silence, before unleashing a new attack of sonics, Ewing delivered a professional and masterful performance. 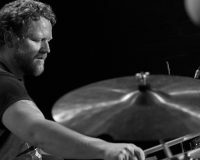 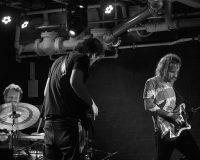 Taking to the stage without fanfare, a three-piece Injured Ninja (due to fourth member Jake Steele’s current Melbourne habitation) seamlessly transformed into a cohesive unit, and after a relatively short intro-piece, dove headfirst into Ninja territory. 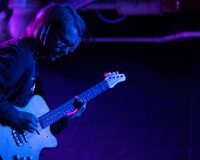 The rhythm section of Matt Bairstow and Dominic Pearce showed no signs of rust from their time apart, rattling the bones of the attentive and enthusiastic audience, as Steven Aaron Hughes’ Jazzmaster dictated effects-laden sonic scrawls that he punctuated with his angsty, close-to-but-not-quite-a-scream vocals. 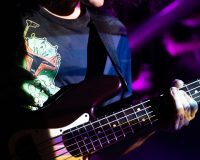 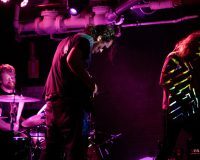 After a far too short set of six songs which included several newer and previously unheard tracks, they rounded out their set with an inspired version of the title track from their 2011 Superluminessence EP. 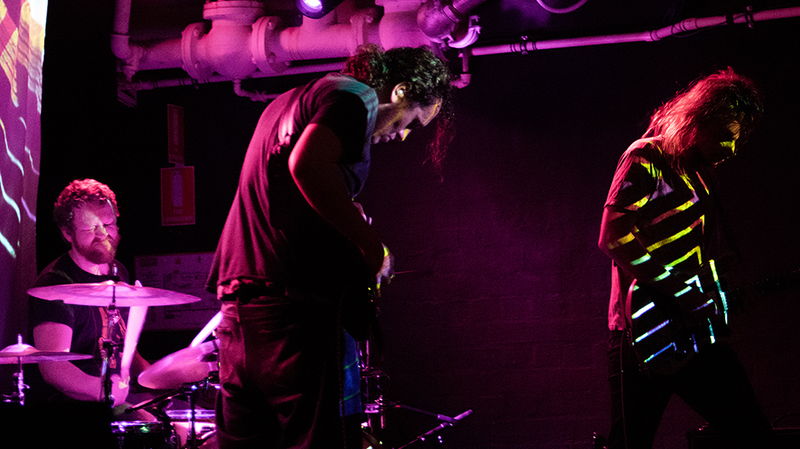 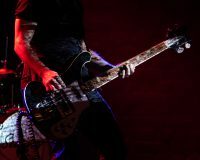 With its pounding rhythms, heavy groove bass and twisted vocals, the band relished showing off what they were, and still are, capable of, confirming that they are still a juggernaut to be reckoned with.